This design tells the time in a similar fashion to “Trylon” three LCD or LED digital displays (or one partially covered display) shows the time in either 12/5/9 digits or blocks. The display is framed or covered by a “Salt” like cover with a Y shaped aperture, this cover can be rotated using the ridged/textured face. This allows the display to be protected when not in use. 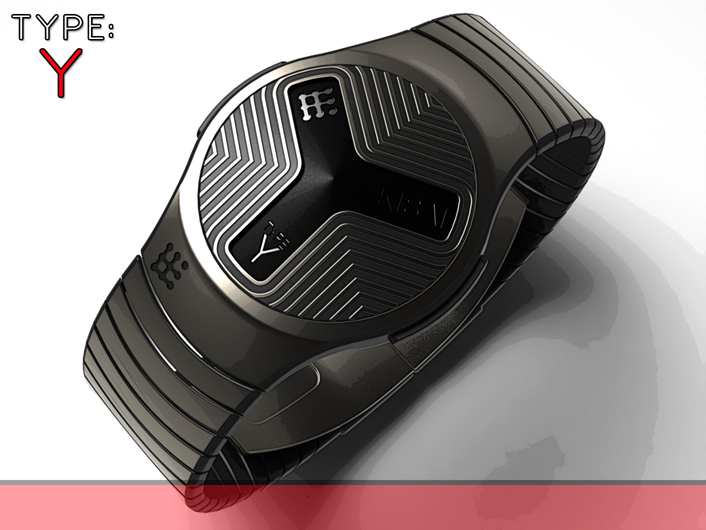 It can also give the watch a contrasting look, a branding opertunity or even a secondary time telling method. I have used a LED display in a 12/5/9 format in one of my examples. 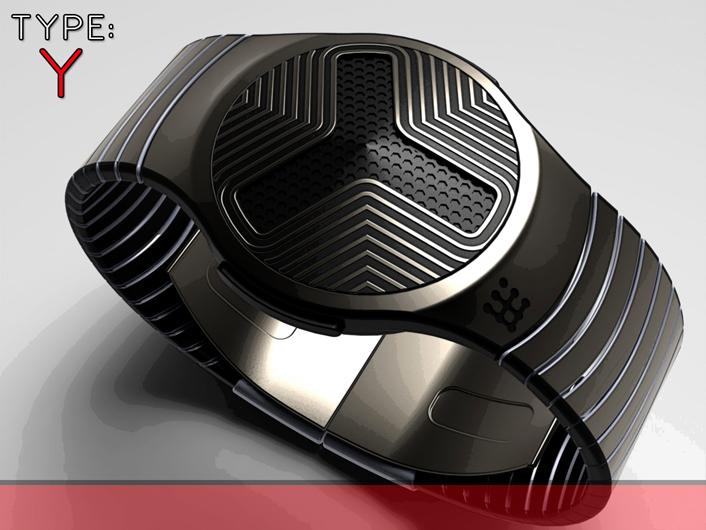 This design has a sci-fi look in an industrial style with dual personalities. This will hopefully allow it to appeal to a wide variety of people. The face cover combined with different looks or displays types allows this design to stand out from others. 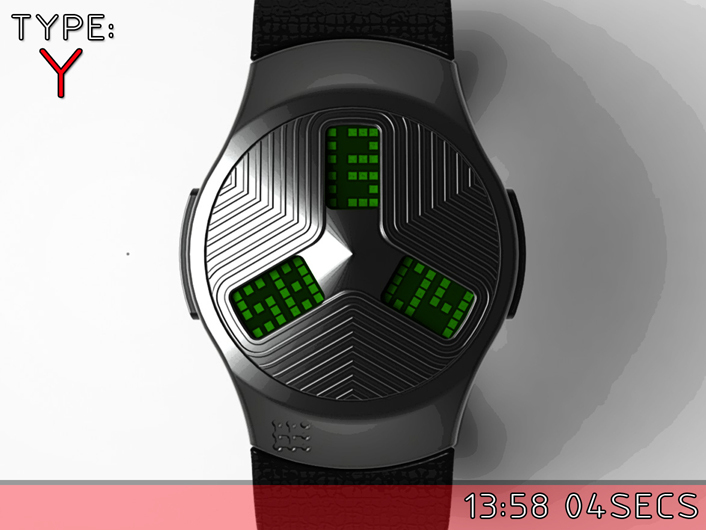 This entry was posted in Design Submissions and tagged 12-11-4, 12-5-9, Concept Watch Design, cryptic, digital, dots, easy watch, futuristic, LCD Watch, LED Watch, sci-fi watch, Watch Design Submission. Bookmark the permalink. 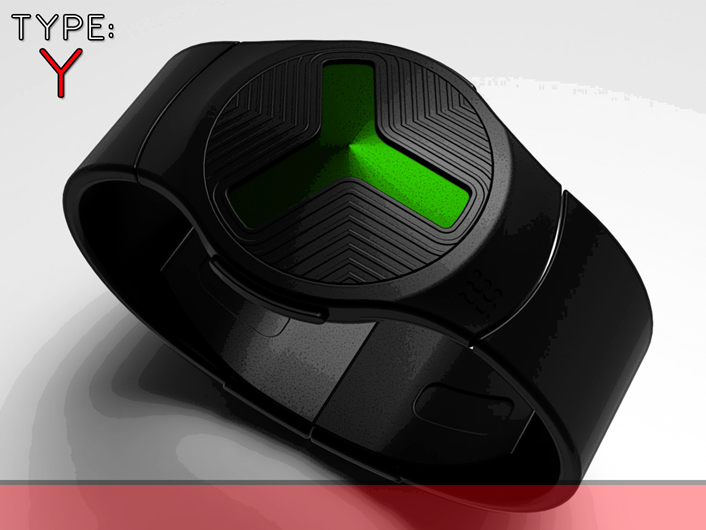 ← Erupt watch with tactile hex display. Great idea showing how the possibilities can be endless. Trylon is a personal favourite, so I cant help but love this idea too. I like the minimal 12-5-9 one & the twist action is cool. There must be lots of ways that can be used to trigger a function too – such as record a voice memo. 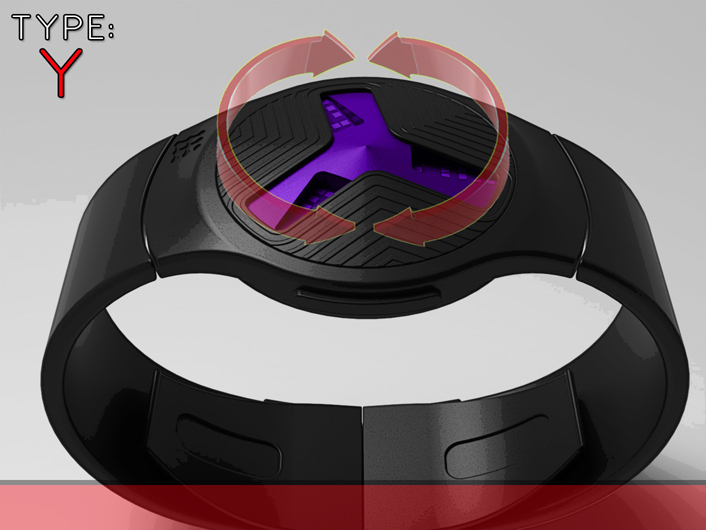 The use of rotating cover / face that reveal different movements: Digital: Trylon / Binary & a logo face is just brilliant. I Cannot see Y this design does not stands a good chance at becoming reality. I must own this, this is incredible. I’m trying to think of something I don’t like about this concept and design and I just can’t. The ability to transform its look and possibly function with a twist of the face is very cool. I sincerely hope this gets made, I’ll be first in line to order. Instant purchase! Damn clever Pete!! Best of luck sir!!! Also having a digital version is nice for when I’d be too tired to count dots. I like the protective cover idea. 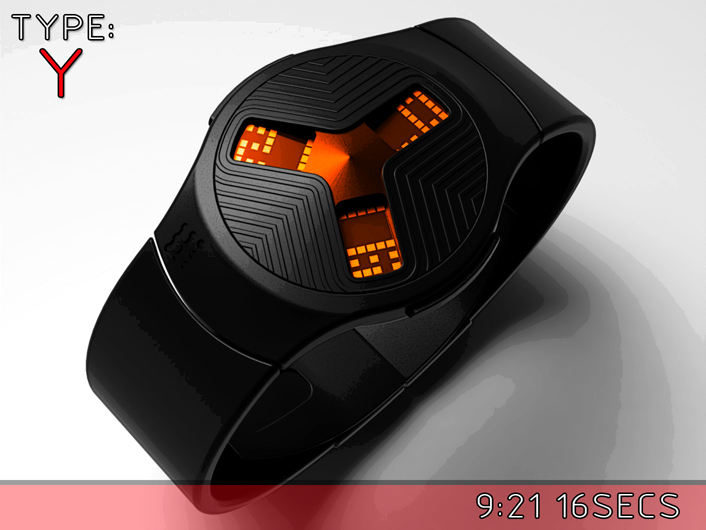 It seem like the display can be rotated (hour or second alone), which would be nice.